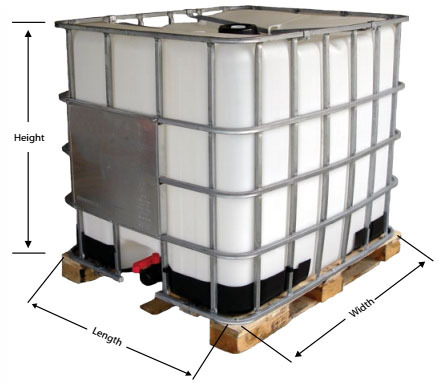 Measure the height of the tote tank / IBC. Measure the length of the tank. Measure the width of the tank. Now that you have the your IBC Tank Size measurements you can shop our selection of tank heaters with confidence!